Are you feeling that mid-winter boredom? Or are your pets anxious for new looks in the new year? This short guide will help you give your pet a new color for a low price by comparing paint brushes and morphing potions. Paint brushes are the most common way of changing a pet's color. Paint brushes only affect a pet's color, not a pet's species. For example, if you use a Maraquan Paint Brush on your Acara, your pet will become a Maraquan Acara. Morphing potions affect your pet's color and species. If you use a Maraquan Hissi Morphing Potion on your Acara, your Neopet will become a Maraquan Hissi. If your end goal is a Maraquan Acara, you could use a Maraquan Paint Brush to paint your Acara or you could use a Maraquan Acara Morphing Potion on your pet of any species (including Acara.) Make sense? Sometimes, using a morphing potion can be a lot cheaper than buying a paint brush for your pet, even if your pet is already the species you want. The next time your pet needs a makeover, don't simply run out and purchase the paint brush. First, check the price of the morphing potion against the price of the paint brush. You may be in for surprising savings! Here are some of the morphing potions that can save you the most neopoints. **All prices current as of Month of Sleeping, Y15. Mystery Island Paint Brushes are selling in auctions for almost two million neopoints. Many island morphing potions can be purchased for less than half that price. The Island Acara Morphing Potion is the least expensive, priced at only 175,000 neopoints on the Trading Post. That's ten times less than the paint brush! 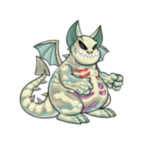 Island Aisha, Chomby, Korbat, Lenny, Pteri, and Xweetok Morphing Potions are all currently selling for 800,000 neopoints or less--under half the price of the paint brush. The best part of the Mystery Island color is the paint brush wearables that come with it. Even if you paint your pet another color, those paint brush accessories (sometimes referred to as "pb clothes") stay in your closet and can be used on your pet. Plushie JubJub Morphing Potions sell for less than 800,000 neopoints, while the Plushie Paint Brush is priced at four million neopoints. Most plushie morphing potions cost less than the paint brush, but the Plushie JubJub Morphing Potion is an exceptionally good value. You can also purchase a Plushie Pteri Morphing Potion or Plushie Tonu Morphing Potion for about 800,000 neopoints. That's a great savings on a really cute and desirable color. The Lost Desert Paint Brush is another very expensive brush, currently priced at three million neopoints on the Trading Post. Quite a few desert morphing potions can be purchased for less than 500,000 neopoints, which is six times less than the paint brush price. You can morph a desert Gnorbu, Grundo, Kyrii, Ogrin, Peophin, or Tuskaninny for under 500,000 neopoints. The Desert Tuskaninny Morphing Potion is the standout steal at only 195,000 neopoints. Like the island color mentioned above, desert pets also come with paint brush clothing that stays in your closet even after your pet changes color. Thanks to the Forgotten Shore and Governor's Mansion, Pirate Paint Brushes and morphing potions have dropped in price drastically. Still, a Pirate Paint Brush will set you back 750,000 neopoints. Pirate Grundo and Meerca morphing potions can be purchased for 200,000 neopoints for less. The Pirate Ogrin Morphing Potion is another good value at around 250,000 neopoints. Pirate is another color that comes with special paint brush clothing. The Maraquan Paint Brush is the most expensive paint brush in Neopia, costing between six and seven million neopoints. You can make a Maraquan Buzz for less than 400,000 neopoints using the morphing potion. The Maraquan Hissi Morphing Potion is another good value at less than 750,000 neopoints on the Trading Post. If you have a very feminine Neopet, pink is a great color option. All the prettiest Neopets are pink! The Pink Paint Brush sells for three million neopoints in auctions, but pink Kyrii and Ogrin morphing potions can be purchased for 200,000 neopoints. As an added bonus, pink pets can get you a secret avatar, making these inexpensive morphing potions even more of a steal. One of the newest colors in Neopia is Eventide. The paint brush is priced at five million neopoints and up on the Trading Post. The Eventide Lenny Morphing Potion will only set you back about 350,000 neopoints. That's a huge savings on a gorgeous new color that is great fun to customize! Zombie is really trendy color for Neopets these days. A Zombie Paint Brush sells for five million neopoints, but you can get some of the zombie morphing potions for much cheaper. The Zombie Flotsam Morphing Potion is the cheapest at only about 300,000 neopoints on the Trading Post. You can also purchase zombie Aisha and Usul morphing potions for less than 800,000 neopoints. 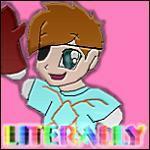 Zombie pets get paint brush clothes that stay in your closet even if your pet is later painted a different color. There you have it: The ten morphing potions with the best value for your neopoints. When you've decided on a new look for your Neopet, head to the Trading Post or Auction House to make an offer or place a bid on any of these potions. Use the potion on your pet from your inventory--you don't need to go to the Rainbow Pool to morph a pet. Ta da! Your Neopet has a fresh new look and you still have some Neopoints in the bank. Happy morphing!